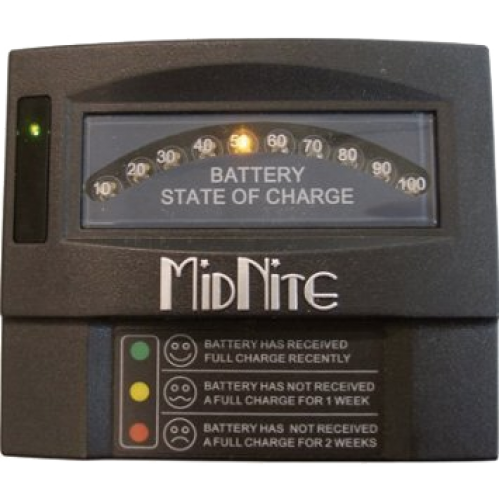 MidNite Solar's innovative battery capacity meter uses a set of easy-to-read LEDs to display present battery capacity. 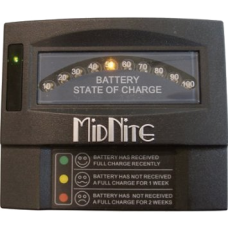 The MNBCM battery capacity meter also features an extended charge status display that let’s the user know how recently the battery was charged. This battery meter is designed for a nominal input range of 12V to 48V (autosensing), features reverse polarity protection, and an accuracy rating of +/- .05 percent. Voltage auto sensing, compatible with a nominal input range of 12V to 48V.